From June 1974 to June 1977 I was aboard the USS RATHBURNE (DE 1057) which was home ported out of Pearl Harbor, HI. We spent nearly 9 months on deployment to the Western Pacific from October of 1974 to June of 1975 during which we spent some time off the coast of Vietnam assisting with evacuations. We were scheduled to return home in May, but something happened that you might remember as the “The Mayaguez incident.” It took place between the Khmer Rouge and the United States from May 12–15, 1975, and was the last official battle of the Vietnam War. The names of the Americans killed, as well as those of three U.S. Marines who were left behind on the island of Koh Tang after the battle and who were subsequently executed by the Khmer Rouge, are the last names on the Vietnam Veterans Memorial. 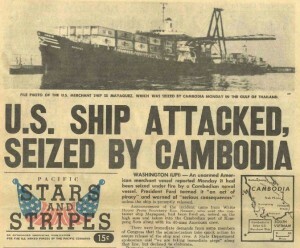 As we were in Subic Bay in the Philippines (Not Philippi – to which Paul wrote this letter) getting reading to set sail back to our home port in Hawaii, the news broke and we were called back into action. Instead of going home we went back to war! It was depressing but every one, to a man, stepped up as we sailed back to Sattahip the port for Bangkok. 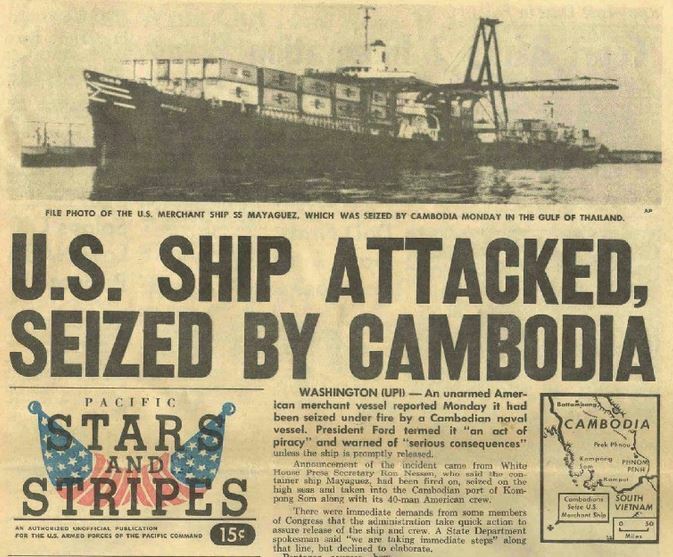 When SS Mayaguez passed near Poulo Wai Island En Route to Sattahip, Thailand, in recognized international sea lanes claimed as territorial waters by Cambodia, a Khmer Rouge “Swift Boat” attacked the vessel and took it hostage. We went to present a military presents and to threaten action if the Mayaguez was not released. As you might remember, it was eventually released by diplomatic means and we eventually set sail for home and our families in Pearl Harbor. Paul really wanted to “set sail” for his heavenly home (look at yesterday’s devotion) to be with Christ but because of the situation that existed in Philippi, Paul felt he had to postpone the home going to help resolve the problems there. I think that’s what he means in Philippians 1:24 when he completes the thoughts he started earlier. All together he says, “For to me to live is Christ, and to die is gain. If I am to live in the flesh, that means fruitful labor for me. Yet which I shall choose I cannot tell. I am hard pressed between the two. My desire is to depart and be with Christ, for that is far better.” Then he adds verse 24, “But to remain in the flesh is more necessary on your account.” I keep thinking that if God has not set the special sea and anchor detail for me, calling me to set sail for home, there’s still something for me to do in the war! I’m sure there’s something for you to do also! There’s a Mayaguez somewhere for us to rescue!